AC Milan are reportedly closing in on the signing of Ricardo Rodriguez this week while Andrea Conti is a target, but there will be exits too. 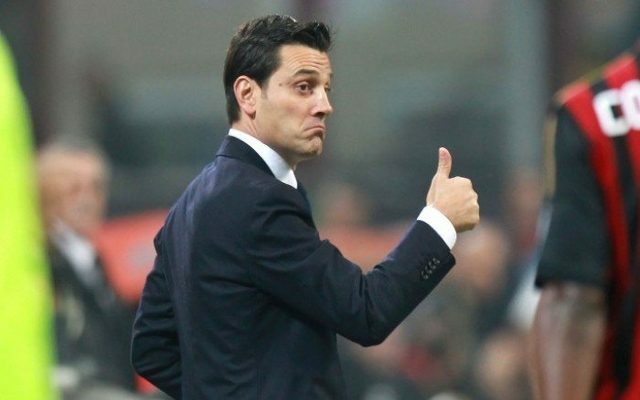 The Rossoneri have been busy already this summer, with Mateo Musacchio and Franck Kessie joining the club, and it appears as though they will waste little time in bringing others in. As per Sky Sport Italia journalist Gianluca Di Marzio, Rodriguez will arrive for his medical on Wednesday and will complete his move to Milan with a fee of €15m plus bonuses being touted. However, he isn’t likely to be the only full-back to arrive this summer, as it’s added in the report that Atalanta ace Andrea Conti is also on the agenda, with a meeting set with his agent on Thursday. Milan are keen to move swiftly for the 23-year-old as he will depart for the Under-21 European Championship on June 16, while there is interest from Inter too. Having scored eight goals and provided five assists in 35 games for Atalanta this past season, he played a pivotal role in their qualification for the Europa League and will now look to make the next big step in his career. With the new arrivals though comes the need for a balancing act, and that could come courtesy of Spal who are keen on Leonel Vangioni and Rodrigo Ely, as per Calciomercato. The former has played an important role at times this season and so his exit would be a slight surprise, although Rodriguez’s arrival would merely relegate him back to the bench. As for Ely, having struggled to establish himself at the San Siro, an exit seems inevitable, but it’s worth adding that these two would move on loan if a deal is agreed. Meanwhile, one man who doesn’t want to leave Milan this summer is Jose Sosa, as Calciomercato report that the midfield ace has rejected offers from Antalyaspor and Fenerbahce. The Argentine international wants to remain in Italy, and if he’s happy with a squad role, then perhaps it will suit all parties as Milan will need depth and quality next season.